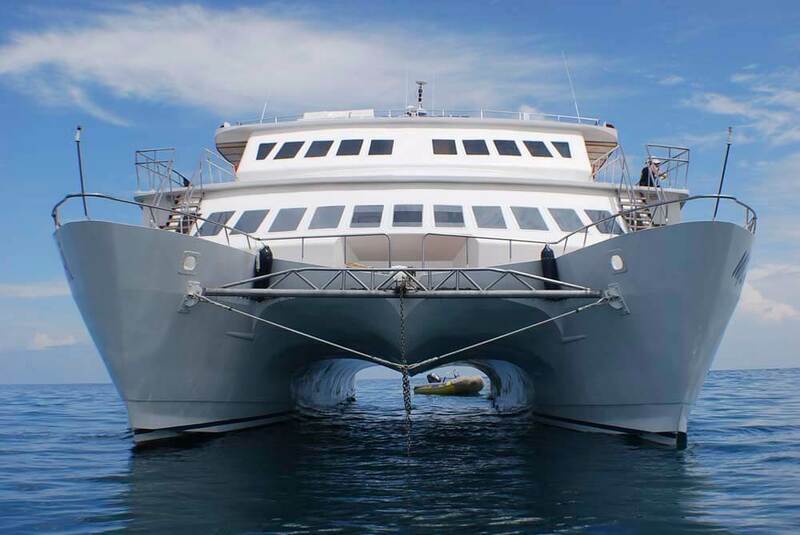 This Power Catamaran Yacht carries 16 passengers and an attentive crew of 9. 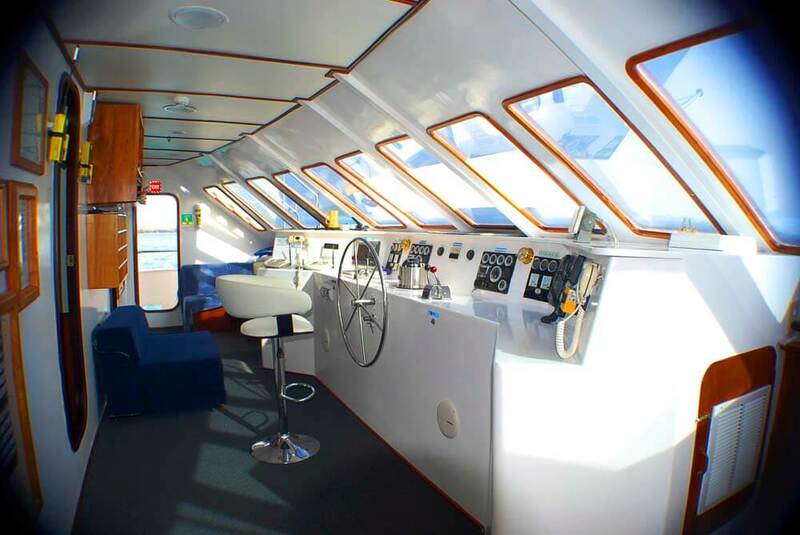 The boat offers plenty of deck space and the cabins are complete with large portrait windows for spectacular ocean views, private facilities and air conditioning. 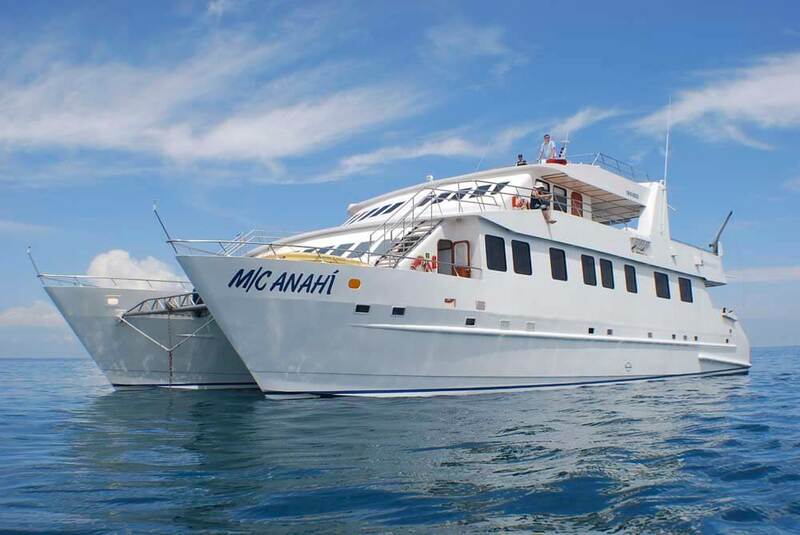 The knowledgeable guides on board will help you make the most of your visit, and extra activities and equipment are on offer such as wetsuits, kayaks and snorkeling masks. 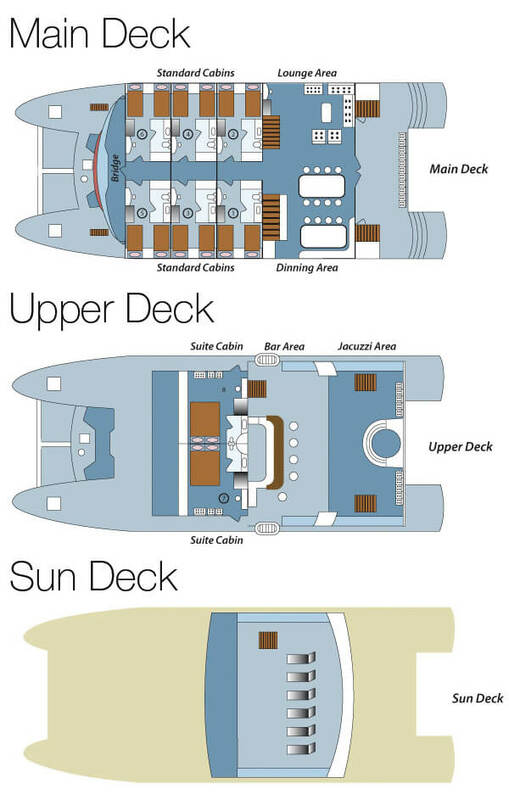 On the Upper Deck you will find a bar, a communal rest area and a jacuzzi which holds 6 people. Helpful crew of 9 well trained staff. Every cabin includes large windows - portrait type - with a view to the ocean, beautiful wooden floor and cozy private facilities with hot/cold water shower, locker, closet and air conditioning. Library, TV-DVD room, comfortable dining room and lounge. 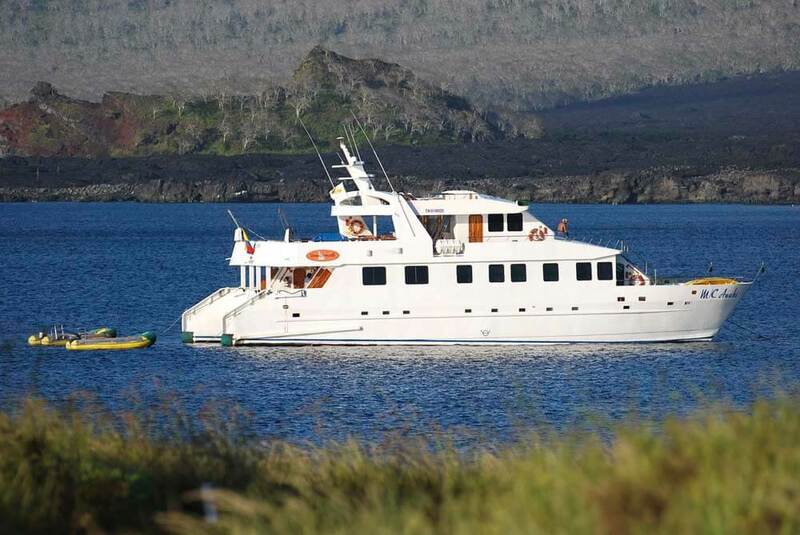 a Galapagos National Park first class guides who speak fluent English and Spanish (guides in other languages – German, Italian, French - are also available under request and for closed groups). Where will M/C Anahi take you? It is possible to combine these itineraries into 11, 12 and 15 day cruises. Contact our South America Team on 020 7386 4646 for more information.